If the instruction manual for your new desk looks confusing and you don't have the time to play a guessing game, then drop whatever components you're currently holding and give Fantastic Handyman a call. The swift and reliable specialists will assemble your desk or any other type of furniture in accordance with all safety regulations and manufacturer's instructions. And no matter if you need a couple of elegant president chairs for your office or computer furniture for home use, you can always count on the assembly team to do their job as fast as possible and at fairly affordable rates. If you just had extensive bathroom repairs, the pros can assist you in assembling your newly bought bathroom furniture. Or if you don't want your big plasma TV mounted on your living room wall, they can put the pieces of its original television stand together. And what if you need to furnish a nursery? Say no more – the assembly team also knows how to put cot beds, toddler beds, and children's beds together. There is no furniture or equipment that the reliable and skilled experts cannot handle. Need a swift bedroom furniture assembly service? It doesn’t matter if your bed is made of metal or wood or if it’s branded or non-branded – the team will do the job in a short amount of time. And what about some cool desks for the home office? Consider it done. Besides assembling modern office furniture for small spaces (or colossal meeting rooms), the tidy and precise pros can mount anything from mirrors and frames to TV brackets and clocks. Various modern furnishings for the home. 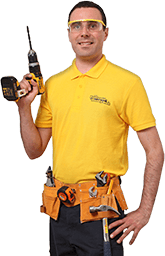 We will only send you reliable experts who, unlike amateur DIYers, can easily tell a screwdriver from an allen key. In fact, each specialist has passed extensive training and has been doing assembly jobs for a number of years. Besides that, they will always carry the right tools to safely transform your modern office desks for home from a pile of planks and bolts into stylish, comfortable furniture. And let’s not forget that all pros are covered by a comprehensive insurance plan, so you can always be sure that things will go your way no matter what. Staring at complicated assembly instructions for hours on end will not make them any simpler. Whether you have ordered assembled bedroom furniture, computer desks for home, or office furniture for home, the experts will always manage to tie up all loose ends and will ensure that your latest addition fits the room just right. 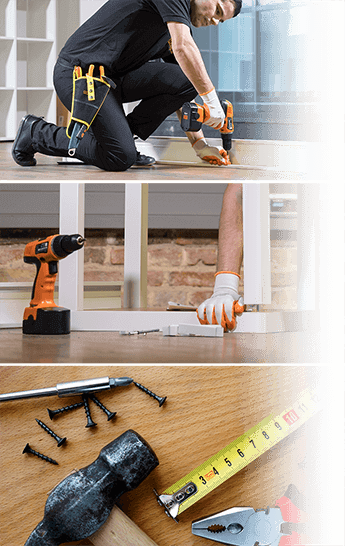 The flatpack furniture assembly team is available for any day of the week (bank holidays included), so make sure to contact us to receive your handyman price quotation. To give you an accurate quotation for our service, we need to know exactly what type of furniture you need assembled, for example a wooden chair or a metal bunk bed. The same goes for any extra interior fittings that might be included in the service, such as drawers or shelves that need to be assembled and placed inside your white office desks for home.